We create the WOW factor when buyers walk in your Home. We Style & Stage your home to bring out its best features. We use Transitional and Modern Decor that appeals to the broadest amount of buyers. Specializing in -Luxury Homes -Difficult Floor Plans -Small Spaces -Condos -Homes that need redesign -Identifying problems in the home that turn off buyers and create a solution -Empty or Furnished Homes Many of the homes were for sale a long time before House Styling & Staging worked our magic. Staging will get you 100-400% return on investment. If you are selling it staging in your house, we will create the space of your dreams. Our Last 2 staged properties sold in less than 30 days! A Staged Home Success Dream come true! Jill Gold will get your home SOLD! Some of the notables that have fallen in love with my staged properties or hired me to stage their Property are: Disney Singer/Star, Music Producers, Instagram Latin Singer International Female Star, NY High Profile Developer, FL Senator, Doctors, Lawyers, Realtors, CEOs of Fortune 500 Companies, Professional Investors and Business Professionals. We are America's Largest Home Staging Provider. We specialize in transforming vacant houses - often seen by buyers as stale, lifeless, unappealing - into fully-furnished, inviting, valued Showhomes. Just Right Staging is a full service home staging company providing vacant or occupied home staging, styling, organization, and furniture leasing services throughout South East Florida. At Just Right Staging, we own all of the furniture, accessories, and artwork that we use, eliminating the use of third party companies and making it more affordable for you. With a degree in interior design and many years of real estate experience, Just Right Staging knows exactly what today’s home buyers are looking for. Design reflects your personality & compliments your lifestyle for years to come. At Captiva Design, we listen to our clients. Together, we collaborate to achieve the perfect look and feel you desire! Restyle Home is a full service home staging and redesign firm based in Boca Raton, FL. Our goal is to add to your bottom line by providing a completely furnished space, styled to appeal to luxury buyers with seamless execution and at a fraction of the cost of purchasing furnishings. Our designer furnishings are delivered on-demand: there when you want them and gone when you don't. Delicious Decors is a leader in Home Staging and Interior Design. Our experts listen closely to your needs and apply our experience to achieve your goals. We promise excellence. Big Style Staging provides Home Staging Services in Broward County & surrounding areas. We offer HOME STAGING & REDESIGN SERVICES for Vacant & Occupied Residential Homes, Townhouses & Condos. Gina Gailing (Owner) is a Certified Interior Decorator and Accredited Home Staging Professional and has completed the most comprehensive Home Staging and Redesign Certification courses in the country provided by the Home Staging Resource. Gina’s BA in Graphic Design and over 20 years experience in Retail Design and Creative Direction along with her experience in Art Directing Photo Shoots for Retail Catalog Room Environments have given her the experience and ability that is necessary to create beautifully staged properties for Home Sellers, Builders and Investors. Her PROFESSIONAL EXPERIENCE and EXQUISITE TASTE for decorating properties naturally led her to Home Staging and Redesign. To date, each vacant property that Big Style Staging has staged has been under contract within 30 days and has garnished the highest neighborhood comps. Gina is also a proud member of RESA & ASHSR & WINNER Oof South Florida Kid’ Crown Award from 2014 for designing Children’s Room Interiors and her works were featured in the Fort Lauderdale Home show. If you are looking for a Professional Home Staging Co. that is creative, reliable, passionate & stays within budget – you found it in Big Style Staging. 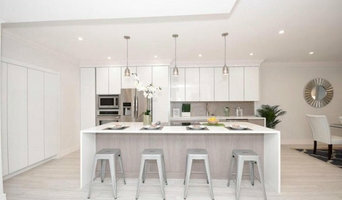 Showhomes Miami is a award winning Home Staging and Interior Design franchise of Showhomes Corporate. Through our nationwide franchise network of home staging experts, Showhomes has helped over 30,000 Homeowners and their Realtors sell homes valued at over $10 billion! 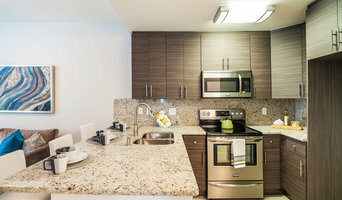 Adaptive Staging & Redesign is a home staging and decorating company serving Broward county. Our goal as home stagers is to stage properties to sell quickly and for top dollar. We provide excellent customer service to home sellers, realtors and investors and we work within all budgets. We understand your buyer demographic and stage to entice all those potential buyers. We provide consultations, full staging services for occupied and vacant properties. We can provide project management. As a premier decorating (redesign) company we work with home owners and renters who want to renew and refresh those spaces that have lost their sparkle. We help bring back the love! We use what you already own and shop for those new pieces to complete the look. So, whether "Staging to Sell or Staging to Dwell" we approach every project with honesty, integrity and dependability. We take it very personally that you allow us into your home and we promise to care deeply about you and your possessions throughout our process and journey together. Our goal is to provide you with exceptional service and a beautiful end result. Silvera Staging & Design is a professional company specializing in home staging, re-design, color consultation, and yacht/marine interiors styling. We are focused on cost-effective staging and inspirational design, while providing exceptional service to our clients. Sapphire Home is Miami’s leading boutique Home Staging & Styling Company. The Sapphire team helps prepare your home for sale with beautiful interior designs unique to each project. Our professional team and unparalleled experience enable us to deliver the best value to you. Sapphire has many services suitable for whichever your selling situation may be. Sapphire Home is staging and styling your: Future. Home. Investment. We're America's largest, most experienced provider of home staging services. We began our business in 1986 with the concept of transforming vacant houses - often seen by buyers as stale, lifeless, unappealing - into fully-furnished, inviting, valued Showhomes. We specialize in working with Homeowners and Realtors to transform vacant houses into life-filled, inviting homes that have powerful appeal to buyers. Our experienced team here at Showhomes Coral Gables, is 100% committed to helping you sell your home at or above market value. We are dedicated to bringing you unparalleled expertise, responsiveness, professionalism and results. Give us a call today to get started on your next home design project! InStyle Home Staging is the professional home staging service of choice for Florida’s Palm Beach and Broward counties. If you’re a Realtor or homeowner trying to sell a home, we will help your property look its best and sell quickly. Our company is based on the belief that our customers’ needs are of the utmost importance. Our entire team is committed to meeting those needs. As a result, a high percentage of our business is from repeat customers and referrals. We would welcome the opportunity to earn your trust and deliver you the best service in the industry. Our furniture placement service creates a visually appealing area with plenty of pieces from an extensive inventory, including furniture, wall art and even silverware. From the floors to the ceiling, we revamp the entire look of your home to entice buyers. We understand in order to sell a home you need to create an open and inviting space for guests. Our work focuses on de-cluttering and depersonalizing a space, allowing others to imagine themselves living within the residence. Unlike other home stagers, we own our entire inventory and don’t need to rent out. Call InStyle Home Staging for premier home staging services. Headquartered in Boca Raton, we will give your vacant home the refined atmosphere it needs to impress guests and potential homebuyers. Curated Home Staging is a Miami Beach based firm. Through the use of bespoke pieces and accents our designers are capable of bringing to the light the best of every property. No matter how luxurious the property most buyers need a hint about how a space can be used in order to fall in love with it. Staged homes sell quicker and for more than the average, contact us before lowering your listing price! Stage 2 Sell Miami, Inc. Stage 2 Sell Miami, Inc. is a professional property staging company which also provides remodeling services and interior design. What does a Fort Lauderdale home stager do? 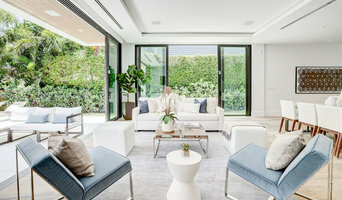 Home staging companies in Fort Lauderdale, FL employ a variety of different techniques to present the home in the best light possible. The first step will likely be to make sure the home is impeccably clean, including the exterior of the house. Next the home stager will work on removing the personal touches that are unique to the current owners. Paint colors might go from dramatic reds and purples to neutral tones like beige and taupe, in order to appeal to the masses. The home will likely be cleared of family photos, risqué artwork, collections and knickknacks, so potential buyers will be able to better envision their own life in the house. In some cases furniture will be swapped out, and you might not even recognize your own house. Some Fort Lauderdale home stagers tackle most of these tasks themselves, while others work with subcontractors and other professionals to get the job done. Here are some related professionals and vendors to complement the work of home stagers: Interior Designers & Decorators, Photographers, Real Estate Agents. The process of staging a home can be difficult for some homeowners, especially when being asked to change things you’ve poured your heart and soul into over the years; but try not to take anything personally, as the stager only has your best interest in mind and no intention of insulting your personal taste. Before you contact a professional home staging company in Fort Lauderdale, FL, make sure to consider a few things: Are you willing to change your home and take the advice of this professional to help sell your house? Do you think your house would greatly benefit from the help of a stager? How long are you comfortable having your home on the market? A staged home is likely to sell faster and, on occasion, at a higher asking price than a non-staged home. While there is no guarantee this will always be the case, it’s often true and can make the entire selling and moving process a lot less stressful in the long run. If you are selling through a real estate agent, it’s a good idea to get their opinion on whether staging your home would be beneficial to your specific situation. Find a certified Fort Lauderdale home stager on Houzz. Narrow your search in the Professionals section of the website to Fort Lauderdale, FL home stagers. You can also look through Fort Lauderdale, FL photos by style to find a room you like, then contact the professional who staged it.